Who’s Really To Blame For America’s Catastrophic Financial Meltdown And Devastating National Recession? Contrary to what the “Occupy Movement” might tell you, it’s not just greedy Wall Street executives (though they certainly earned their share of scorn). It’s not just failed regulation (even though Washington has failed miserably, both Republicans and Democrats, to protect us). 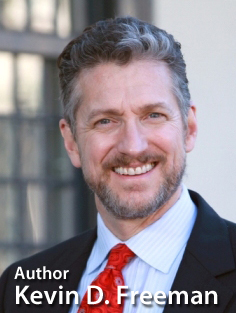 As one of America’s top financial professionals reveals in this shocking new book, the failures of Wall Street and Washington have opened us up to economic warfare, with our foreign enemies exploiting our lurking financial weaknesses. Why you should expect another financial attack even more devastating than the last one – and how you can protect yourself from it. 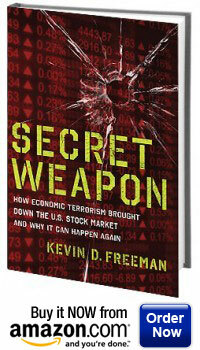 In Secret Weapon you’ll learn what our enemies know and what Washington has chosen to ignore – that our financial system is profoundly vulnerable to financial terrorism, and that we are being targeted for further and even more destructive attacks by our enemies, who want to cripple America as the world’s leading economy. If you want to protect yourself and protect our country, then you need to read Secret Weapon to understand how we have entered a new age of warfare – an age our enemies want to make the Dark Ages of the United States.